now! indonesian can receive fund using paypal. it require you to verify your real identity by giving your credit card details. then you must authorize paypal to charge you $1.5. then you will need to enter 4-digit Expanded Use Number from your credit card statement to verify that you are real with real address and real credit card. then after that (supposedly) you can receive money using your paypal account. i still waiting for my 4-digit Expanded Use Number in next month credit card statement. better wait for the 4-digit 'magic number' to confirm if this is for real. still wonder if the business account let us receive money??? 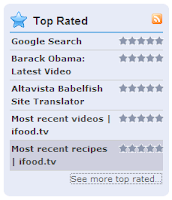 my google search widget now top rated on widgetbox. it allow your visitor to search you website and it display your logo and link to your web in the search result. just browsing download.com and see they review on minimo and yahoo go 2 and wondering why they rate both these software so good? while, both these huge big fat bloatedware is very extremely slow. unless, you have the latest gadget with fast processor and big ram, both these apps is useless. they never tried opera, netfront and the old but still the best, yahoo go 1.
they always test latest apps on latest gadget with fastest processor and huge ram. Wed 01/08/2007 08:20 01082007(005) Bon Jovi: Have a nice day. 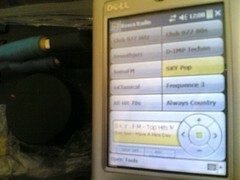 Stream from sky pop internet radio to my hifi.